Stocks had another bad day Tuesday as investors became increasingly nervous about a looming debt ceiling crisis. 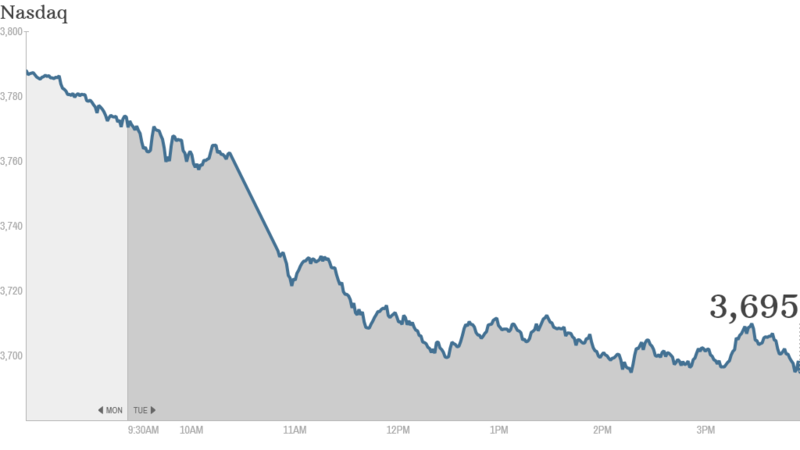 The Dow Jones Industrial Average and the S&P 500 both ended the day down more than 1%. But tech stocks were hit particularly hard. The Nasdaq lost 2%. Only a handful of Nasdaq stocks ended higher for the day. Meanwhile, many momentum stocks that have helped push the Nasdaq up more than 20% dropped sharply Tuesday. Yahoo (YHOO), Tesla (TSLA), Priceline (PCLN), Netflix (NFLX), Facebook (FB) and LinkedIn (LNKD) all fell between 3% and 7%. CNNMoney's Fear & Greed Index now shows that Extreme Fear is driving the market. In another unsettling sign, yields on short-term Treasury bills have skyrocketed in the past few days. That may reflect growing worries from bond investors that the U.S. could actually default on some of its obligations. Tuesday marked the eighth day of the government's shutdown. While the Dow has dropped more than 300 points in that time, the markets are actually performing better than many had expected. All three major indexes remain up more than 12% for the year. Despite heated posturing, many experts think the Democrats and Republicans will be able to reach a last-minute agreement to raise the debt ceiling before October 17 and avoid a default. Political brinksmanship is nothing new for today's markets, said Mark Luschini, chief investment strategist at Janney Montgomery Scott. For example, he noted that despite "a lot of bluster" about the fiscal cliff last year, the stock market ultimately held up well. Luschini expects the markets to be bumpy this week as stocks continue to move on any possible deal news, but "the real risk for the market doesn't increase until we go into the weekend." If a debt ceiling deal hasn't been reached by next week, making the prospect of a default more imminent, investors could become significantly more concerned, he said. Traders on StockTwits had mixed feelings about the broader market sell-off though. "$SPY $SPX $DIA $DJIA ugly market. Mr congress get your act together," wrote BiotechMoney18. But Scaletrader said that "the market is SUPPOSED to be able to go down too. I know, perma bulls don't want to hear that but that's the way it works." Tuesday was also the start of third-quarter earnings season, with aluminum producer Alcoa (AA) and Yum Brands (YUM), the parent of KFC, Pizza Hut and Taco Bell, both reporting after the closing bell. Alcoa beat analyst expectations, sending shares higher after hours. While third quarter earnings are expected to be lackluster, investors will likely remain focused on the debt drama playing out in Washington. Worst over for JCP? 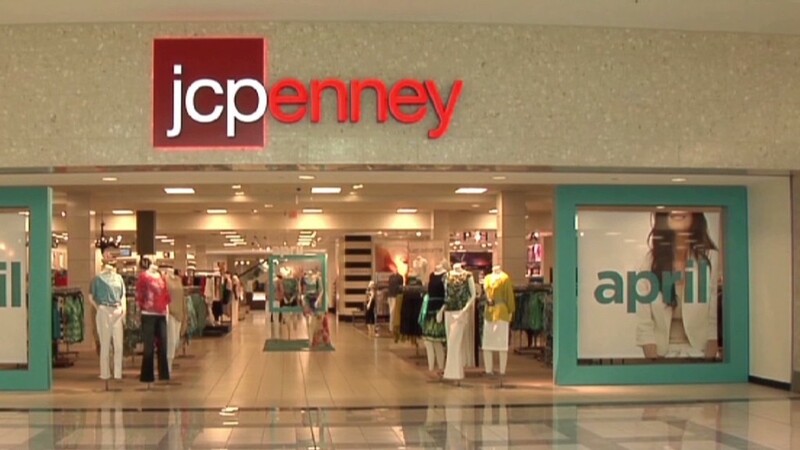 Shares of J.C. Penney (JCP) rose early in the day after the embattled retailer announced that sales were up in September from August. The company also reported a surge in online purchases during September. But it's clear J.C. Penney still has a lot to prove. It ended the day up less than 1%, but shares are down more than 50% for the year. Still, some StockTwits traders were optimistic. "$JCP finally some GOOD news....at a time when walmart and other retailers did horrible," said ValueInvestor1 while EricSteiman added that it is "actually nice to be long $JCP today! Thanks Haters." European markets finished broadly lower Tuesday, led by a more than 1% decline in London's FTSE 100, while Asian markets ended with gains. The Shanghai Composite index jumped 1% after investors returned from a long holiday.